Discover the 5 qualities successful salespeople share to increase their sales productivity. Ever hear the expression, “He (or she) can sell snow to an Eskimo” and been curious why certain people are inherently good at selling? What is it about them that gets prospects nodding their heads “yes” and signing on the dotted line? While a few of them may be genetically predisposed to selling; with their charm, persuasiveness or all-around likeability – even the best have acquired a few qualities that help them ace the sale. 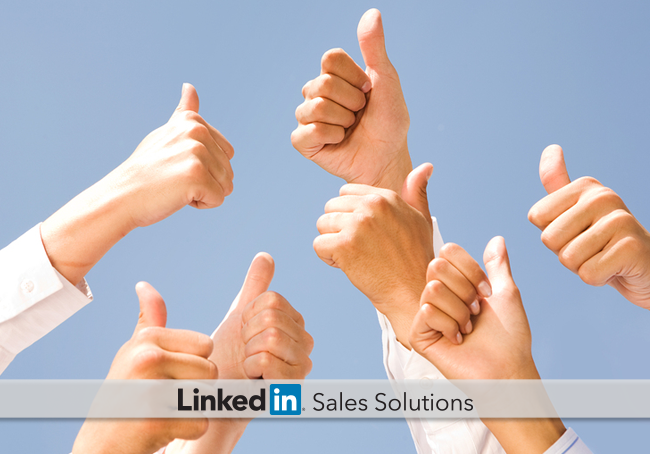 Here are key qualities that drive successful salespeople to the top. Increasing sales productivity only happens when you take action. Top producers don’t sit around thinking about picking up the phone or wait until the end of the day to respond to inquiries. They know that the more touch points with prospects they can establish, the more likely they are to move the prospect toward a sale. In fact, sales reps who respond quickly to trigger events via social media saw a 9.5% increase in annual revenue, according to the Aberdeen Group. A successful salesperson never stops learning. How do they stay so up-to-date on industry happenings? They are organized and efficient in how they consume content. Join and Follow relevant groups and companies on LinkedIn. Not only does this put great content at your fingertips, but you can stay abreast of happenings at your customer or prospect’s companies. Sales isn’t all about talking. In fact, it’s mostly about listening. Identify relevant conversations, join, listen and contribute. Connect with your customers and prospects on LinkedIn and pay attention to the content they like, share and comment on. This can provide insight into what's important to them and offer a talking point for the next time you connect with them. Pay attention to what the competitors are talking about. Armed with this information, you can effectively position against them. The best salespeople insist on learning from the deals they didn’t close. They start by asking questions to identify what they might have done differently and adapt their go-forward approach. Why did I lose the sale? Competitor, price, failure to connect? What was different about this sale vs those that close? Longer sales cycle, more or fewer touch points? What were the prospect’s objections and did I effectively overcome them? Successful salespeople use any and every opportunity to make a connection, solve a problem and position themselves as the go-to person for prospects and customers. Is it likeability, knowledge and social savviness that win out in today’s sales environment? Yes, it’s that and more! What quality or tactic have you used that has contributed the most to your sales success?